This amazing intricate cubic zirconia's clustered disc is designed to instantly transform you from casual to chic. 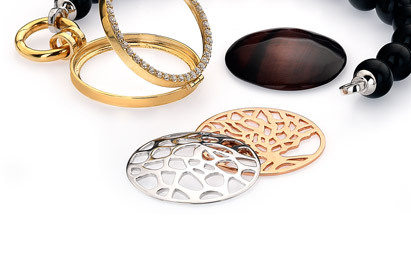 With a polished flat reverse this much desired disc is suitable for everyday wear. This 10mm disc fits perfectly in the small size lockets.